As many of our readers follow the Maharashtra news religiously, we present the latest Maharashtra news for those of you who avidly follow emerging news from Maharashtra updated to the minute. Do send us a feedback on the quality of Maharashtra related news served to you, so that we can make it better for you. 2. Bank of India Rs 1,784 crore View More..
'Cybersecurity is a critical part of digital business with its broader external ecosystem and new challenges in an open digital world,' said Paul Proctor, Vice President and Distinguished Analyst at Gartner, in a statement on Monday. View More..
March 23 (IANS) It is a colourful time in Bihar, but politics is not too far from the celebration of colours. Prime Minister Narendra Modi, Bihar Chief Minister Nitish Kumar and Rashtriya Janata Dal chief Lalu Yadav are in major demand for Holi in the state. 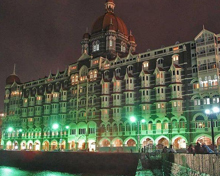 View More..
On March 12, 1993, Mumbai was rocked by a series of 13 blasts, targeting business locations, five-star hotels, airline office and stock exchange etc., that left 257 people dead and 712 injured. The following are a few facts related to the the blasts: View More..